Ever wondered, why you find certain rooms in your home more appealing than others? Why a small spot with nothing much of interest around makes you feel more comfortable than a large hall full of knick-knacks? Paints colours can give any space an ultimate dramatic effect, while pulling the whole interior design together. Not only are they an inexpensive and instant way to update your home, but you can also use colours to showcase your personality and lifestyle. However, before you cover your walls with your favourite shades and finishes, we’ve got some pointers to help make it work for your home in the best way. When you start off, you usually have more than two colours to try on and you are not sure about how they would look on your walls. A small space or less used room like a powder room, area between two rooms, small hall or accent wall can be a great place to start experimenting with the desired colours. Come up with ideas of colours drawn from something that appeals to you the most. It may be anything from your favourite artwork, an antique show-piece, to your baby’s eyes, an imposing furniture piece or a resort you spent your last family holiday in. 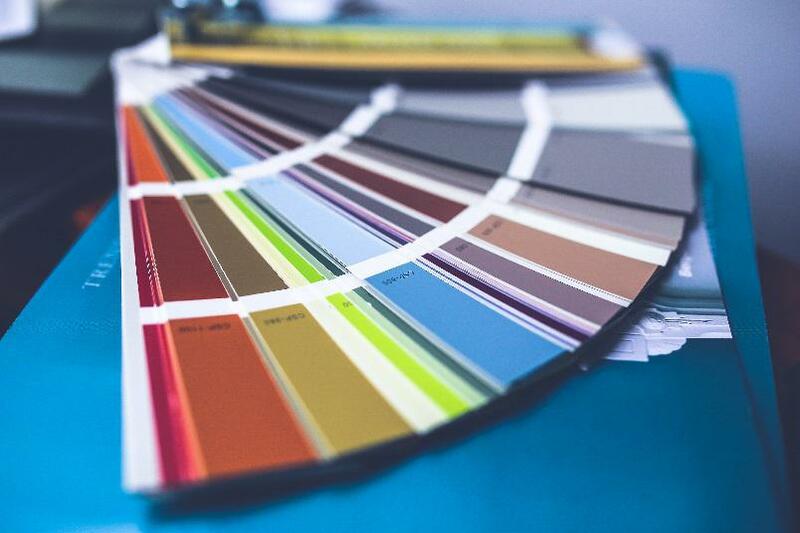 Pick a colour or multiple shades from your personal inspirations and give life to your interior with them. Is there a special feel or mood you would like to get when in that room? Paint colours have a lot to do with the mood and feeling around a space. You can easily create a theme and achieve the desired mood in a room, hall or any other area by picking colours that depict those feelings. For instance, solid bold tints work well for a dramatic look and soft, cool shades help create a quiet feeling and soothing ambience. Different kinds of lights, whether from natural or artificial sources, pretty much affect the appearance of colours and shades on interior surfaces. While natural daylight brings out the truest colour, incandescent lighting shows warm, yellow tones. So, before you pick colours for a room, consider the lighting around.